TASS: Sport - Russian biathlete Vladislav Lekomtsev wins Paralympic gold in 7. Russian biathlete Vladislav Lekomtsev wins Paralympic gold in 7. SOCHI, March 08, /ITAR-TASS/. 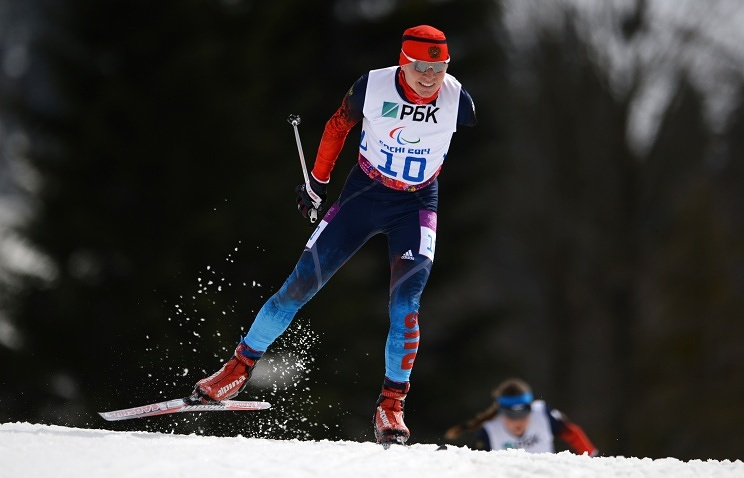 Russian biathlete Vladislav Lekomtsev on Saturday won the gold medal in men’s standing 7.5-kilometer race at the XI Paralympic Winter Games Russia hosts in its Black Sea resort of Sochi. He finished in 19 minutes 13.7 seconds with one missed shot. Canada’s Mark Arendz (19:14.4; 1) took silver, and Russia’s Azat Karachurin (19:14.9; 1) secured bronze. Russia’s other athletes showed the following results: Kirill Mikhaylov came fourth (19:26.2; 1), Alexander Yaremchuk fifth (19:27.2; 1), Ivan Kodlozerov ninth (19:39.7; 2) and Alexander Pronkov tenth (19:44.4; 2). Lekomtsev was born on December 8, 1994 in the village of Romashkino (the republic of Udmurtia in Russia’s Volga Federal District). He is a three-time world champion in cross-country skiing. The 2014 Winter Paralympic Games kicked off in Sochi with the opening ceremony at the Fisht Stadium on Friday and will run until March 16. Over 1,350 Paralympic athletes from 45 countries are competing for 72 sets of medals at Russia’s first ever Winter Paralympic Games.